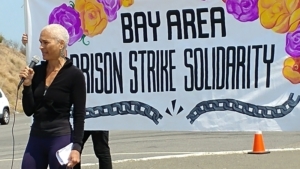 A diverse crowd of around 500 mostly young activists turned out for a rally Aug. 25 at San Quentin Prison in Marin County, California. 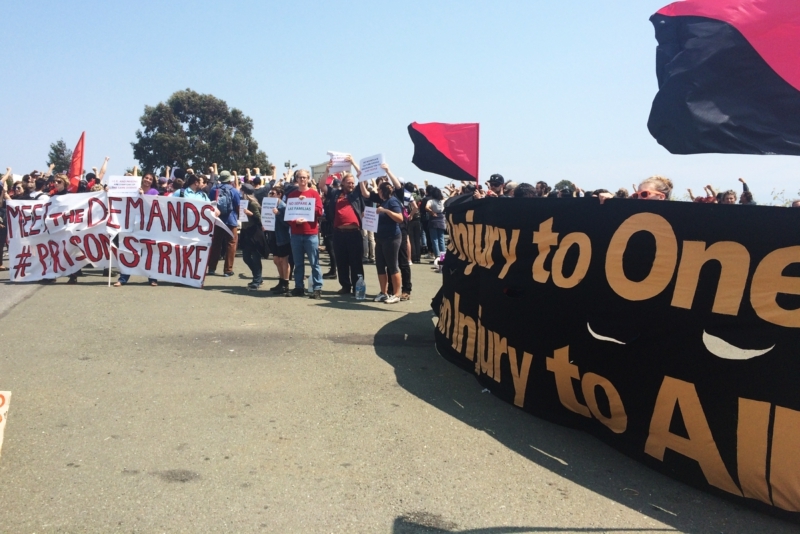 Most came from Oakland, many in two chartered buses, but sizable contingents traveled from San José, Santa Cruz, and San Francisco as well. 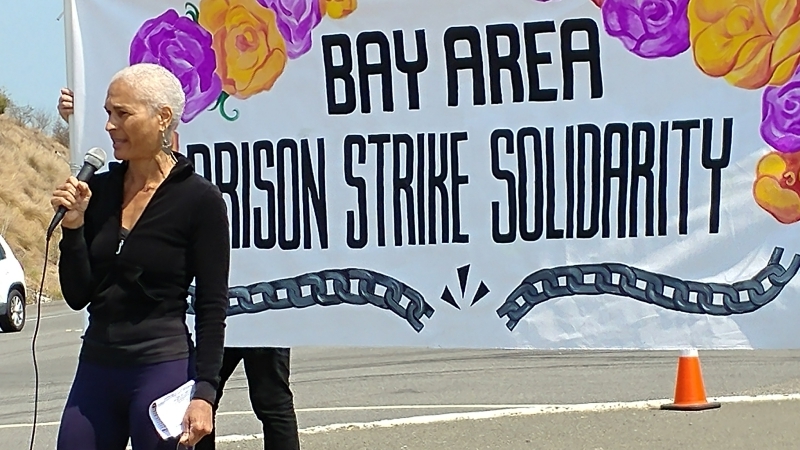 Incarcerated Workers Organizing Committee, a key organizer of the rally, along with Prisoners Human Rights Coalition, CA, recently formed in San José, and many other Bay Area activist groups including Party for Socialism and Liberation, helped publicize the action. The idea for the strike originated with Jailhouse Lawyers Speak (@JailLawSpeak), an incarcerated group of prisoner rights advocates. 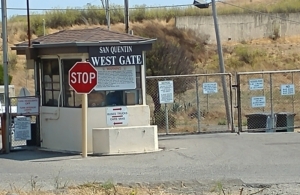 There was some confusion when we first arrived as to whether the rally would take place at the West Gate or East Gate of the prison, though the original plan was to assemble at the West Gate. A seemingly friendly cop from a large group of Highway Patrol officers and sheriff’s deputies, with their patrol cars, “standing guard” outside the West Gate, approached us early on and tried to re-direct us to the East Gate, where there was little to no parking, an apparent attempt to disrupt the rally. It didn’t work, as we quickly realized this was disinformation and spread the word to later arrivals. 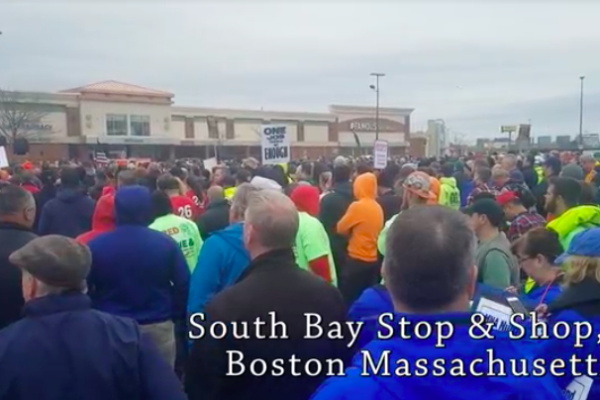 The turnout was considerably larger than the 50 or so that at least one of the key organizers had expected. This shows the growing knowledge of and support for the prison strike, planned to last from Aug. 21 (the anniversary of the assassination of George Jackson in 1971 and Nat Turner’s slave rebellion in August 1831) to Sept. 9 (anniversary of the Attica uprising in 1971). However, the fight for human rights for the caged persons in U.S. prisons, jails and immigrant detention centers – disproportionately Black and Brown – will continue, organizers emphasize, as long as it takes. The struggle recently received a boost when a group of ICE detainees in Tacoma, Wash., joined the national strike. 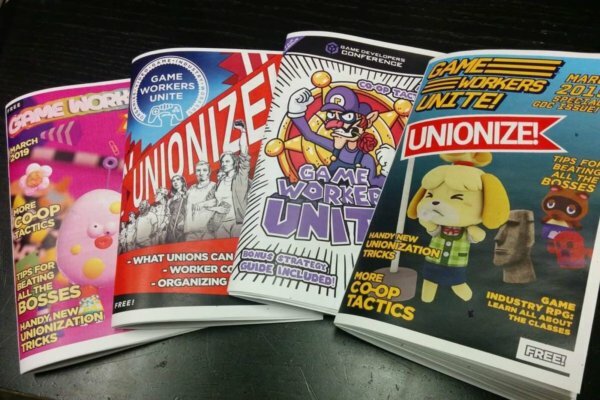 Strikers are refusing to report to assigned jobs, engaging in peaceful sit-ins, boycotting concessions and phone services, and carrying out hunger strikes. They risk transfer to other prisons, solitary confinement, and additional time behind bars. In other words, they are risking a lot! Speakers at the rally both educated and inspired those in attendance. Leading off was Bilal Ali, a former Black Panther and political prisoner. In a fiery speech, he explained that the roughly 2.3 million currently incarcerated are seen by the capitalist rulers as “surplus population,” subject to super-exploitation and degrading treatment. 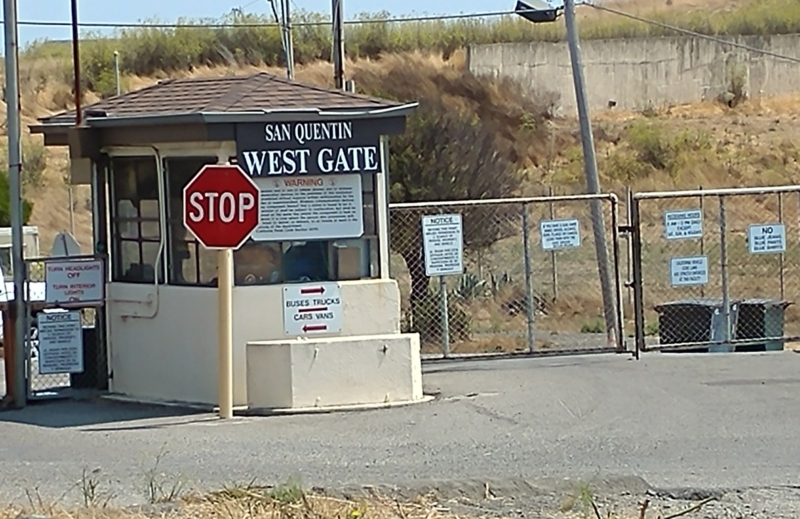 Those who really belong in San Quentin and other U.S. prisons, he said, are the ruling rich, who have deprived people of means to make a living, caused mass evictions and homelessness, driven millions into poverty, and carried out endless wars. The organizers had also planned to have a mass “phone zap” into the prisons as part of the program. Bilal announced, however, that the phone lines had been shut down to block such calls, which he said actually showed the impact we already had made. At the end of the rally, Bilal Ali, urged participants to take the various fliers, papers and other materials being handed out by the groups present to become better educated on the issues and, if not already a member, join an organization carrying on the struggle. 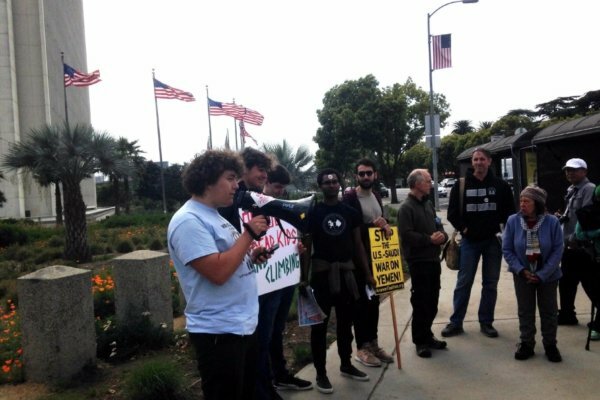 Members of PSL handed out copies of Liberation newspaper, a statement of support for the strike by Palestinians held in Israeli jails, and Prop 10 palm cards with information on the important statewide campaign for a “yes” vote in November in favor of rent control and affordable housing. We can expect support to grow as the strike for prisoner human rights goes on and spreads, and the impact to grow as a result. This struggle deserves the widest solidarity!